At Blinds for Your Home, we always keep two things in mind while helping our customers choose a custom window treatment: visual style and practical function. That’s because any type of window shade is as much a part of interior décor as it is a useful home feature like a door or furnace. As honeycomb shades become more prevalent and affordable, we’re always eager to share this option as a great example of the kind of form meets function we love talking about. 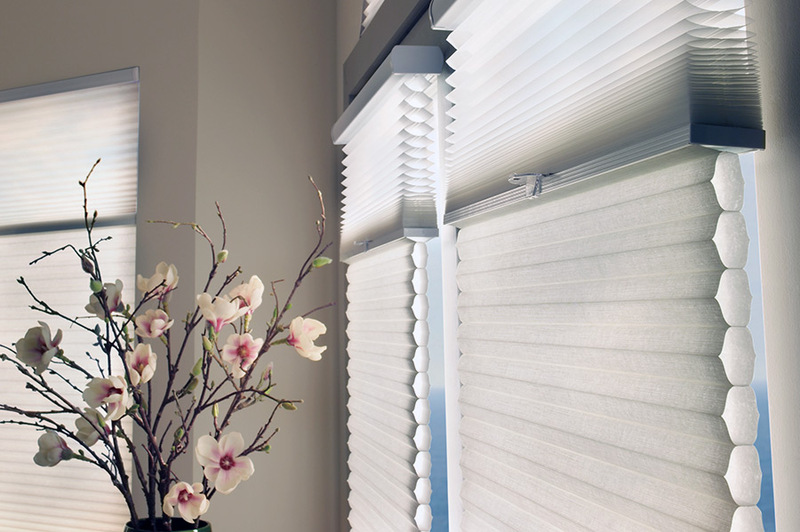 Honeycomb shades, or cellular shades, get their name from the hexagonal rows of fabric used to make them. The three-dimensional shape traps air between the fabric panels to regulate temperature and insulate your home year-round. From the front, the attractive, crisp pleat is low profile and complements most indoor decorating schemes. When you come to Blinds for Your Home, you’ll be able to see and touch sample styles from our favorite brands. Our design team will explain the options you have in terms of color as well as style, including cordless designs, top-to-bottom or bottom-to-top movement, and even remote control for accessibility. 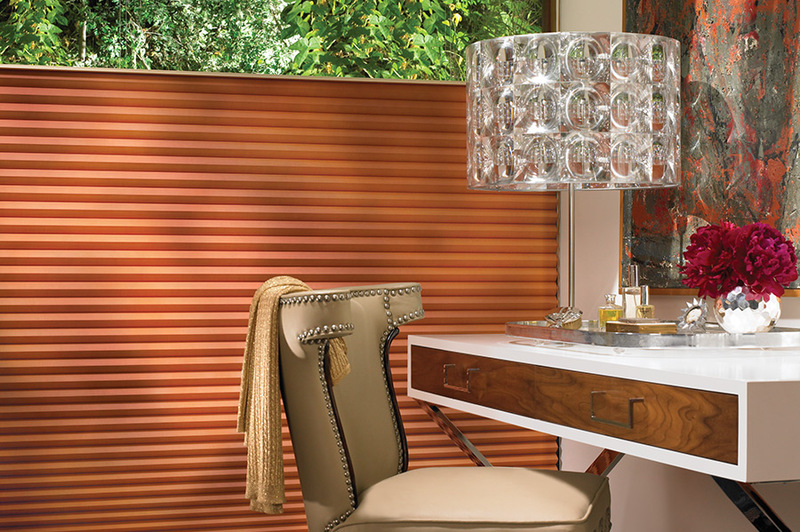 Duette honeycomb shades are an industry-leading design from Hunter Douglas. This classic style is available in a wide range of colors, textured fabrics, and pleat sizes, so you’ll be able to customize an energy efficient design to blend seamlessly with your home. At Blinds for Your Home, we’re passionate about the process of matching custom design options with our customers’ individual needs and lifestyle, so come see these shades in person at our Edmonton, AB, shop, or contact us to schedule a one-on-one design consultation in advance. The insulating properties of a great honeycomb shade mean you can reduce energy wastage on your utility bill by up to 50%. Duette Architella from Hunter Douglas features a double honeycomb design with one row nested inside another for maximum energy efficiency without changing the overall pleated look and feel from the front. Our team will size these shades to fit standard windows and even accommodate unusual shapes like arches or skylights. If the number of window treatment options is too overwhelming to pick just one, the Applause line from Hunter Douglas keeps things simple, classic, and streamlined. With curated fabric choices, choosing a color is easy, and the design is still energy efficient and family friendly thanks to cordless and motorized lift options. 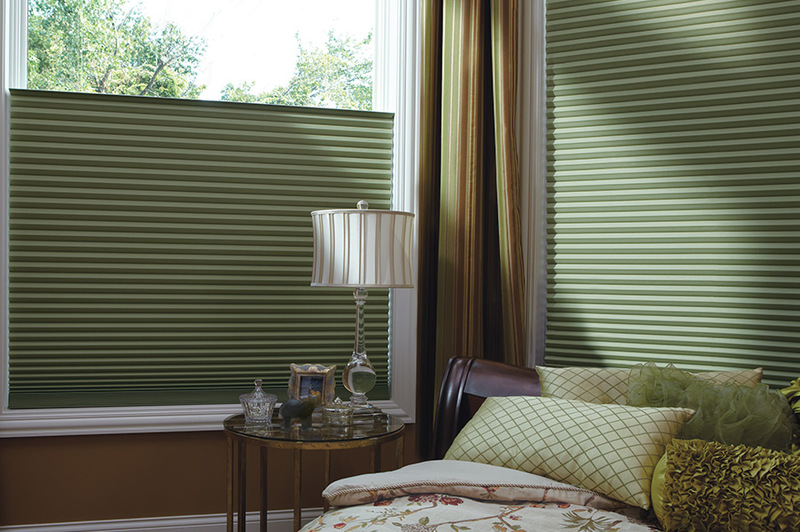 At Blinds for Your Home, customization is what sets us apart. We offer private, one-on-one consultations with an appointment, so you can take your time learning about window treatments with the guidance of our professional team. Call or visit today to get started on your custom honeycomb shades today. Discover which honeycomb shade style is your perfect match.